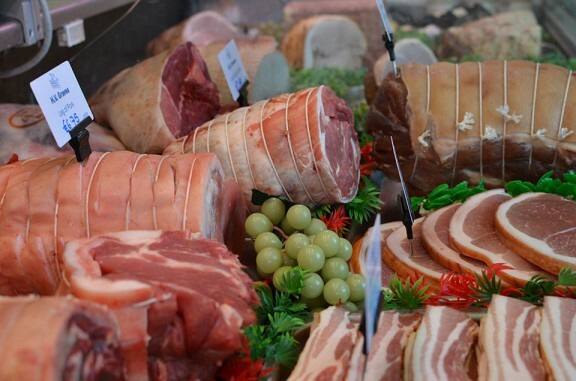 A wide range of fresh and local meat products is available. 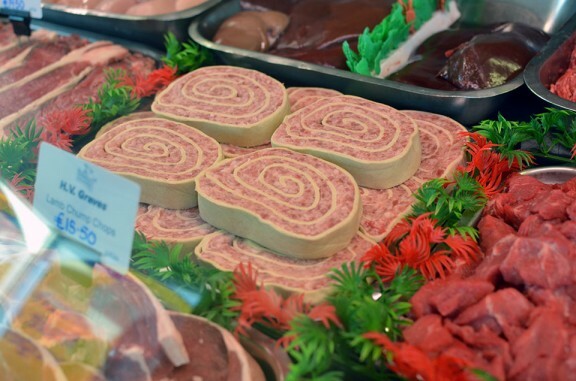 Every processed meat product is homemade on site. 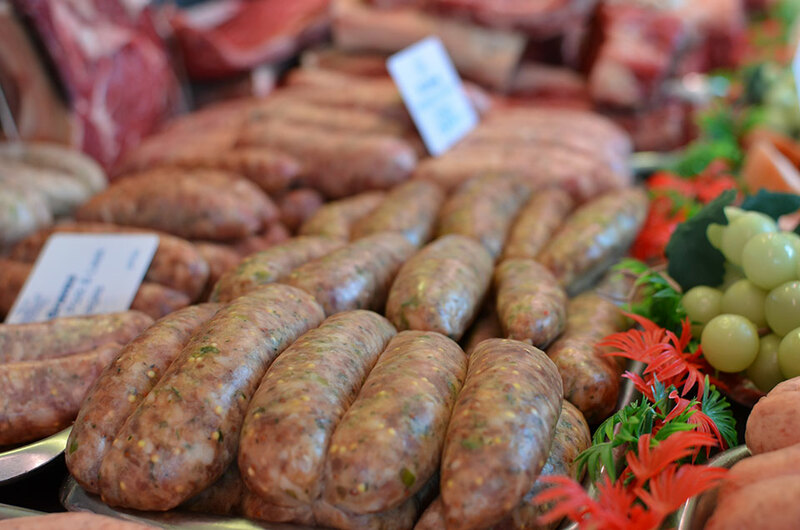 This includes our best pork sausages (one of our best sellers), flavoured sausages, plus our own beef, pork & apple, and lamb & mint burgers – to name a few. We have our own stock of cattle which Jill Graves manages, but we don’t have enough meat of our own for the large quantities we require. 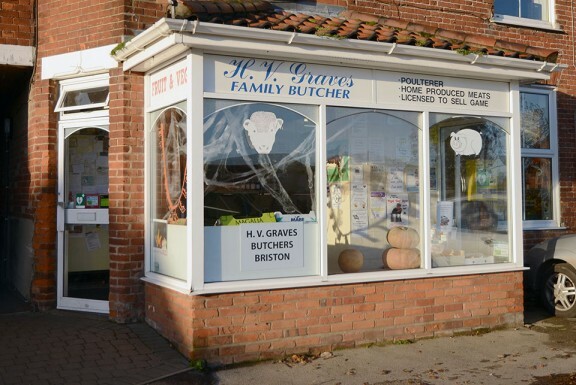 On a weekly basis, Paul Graves travels around north Norfolk selecting the very best animals from local farmers, which he then takes to the abattoir, ready to be brought back to Briston. Our lamb is sourced from our own village of Briston, reared by a local farmer of fields that surround the village, I’m sure can’t get more local than that! Very rarely we will procure meat from other local suppliers but this is usually as a last resort when our own supplies are entirely exhausted. Products include: Game, Pin Wheels, Stuffed Breasts and Legs. One of our biggest sellers is our stir fry mixes. These include a variety of beansprouts, sugar snaps, mixed peppers, baby corn and onion with either pork, beef or chicken in one of our marinades. Thai Curry, Mediterranean and Chinese Szechwan are customer favourites but we can make any variety to suit you. H V Graves have recently started a small range of frozen homemade meat pies including favourites such as steak & kidney, chicken & mushroom and mince & onion. Fancy something different? Not a problem, our rabbit pies and game pies are becoming increasingly popular as well as lamb & mint and the good old traditional steak & ale. All meat is sourced locally and the pies are all freshly made in our bakery, simply pop in the oven and enjoy!!! A variety of fruit and vegetables are also available. 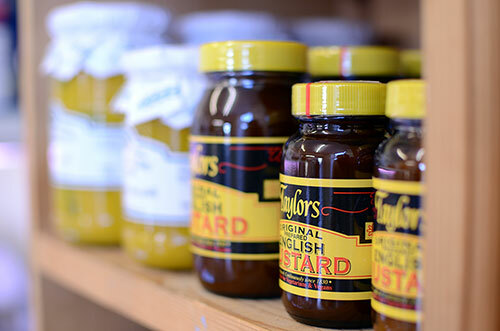 Wherever possible these too are locally sourced and often bought from our own customers. In season, we stock strawberries and raspberries from the local village of Sharrington, as well as a popular range of their own homemade fruit jams. We also offer fresh fruit and vegetable hampers (to order) at a variety of different sizes to suit all needs. 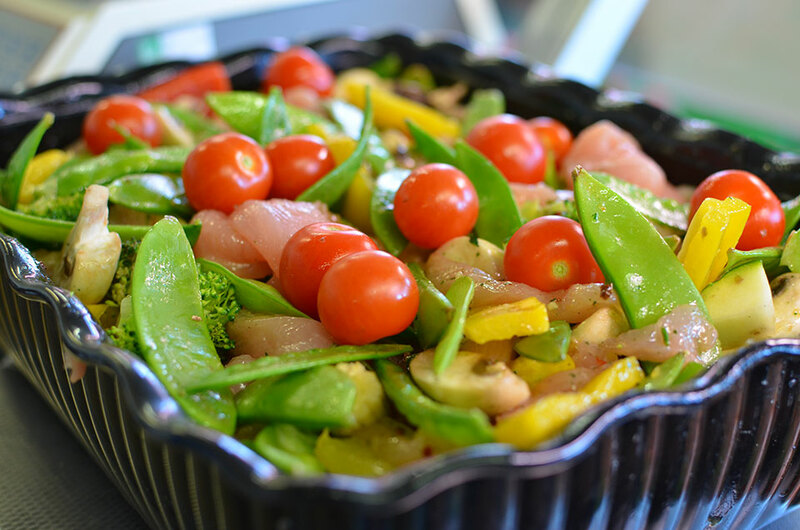 Frozen foods – including vegetables and chips, etc. If you would like to place an order with us please call to discuss delivery options. Or we offer a courier service all over the UK for a charge £8.50 (weights under 20kg). Please call 01263 860333 for more information. Our modern cutting plant is locally one of the most up to date. 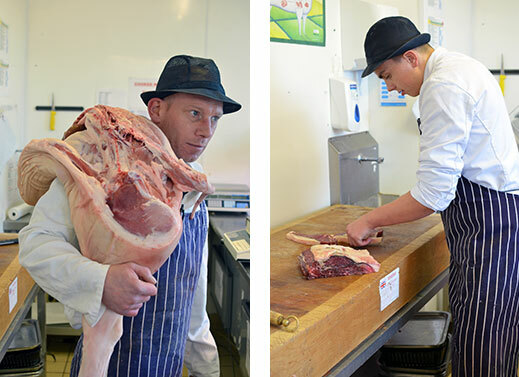 This is where most of the work takes place, preparing joints and meat cuts for our shops and outlets, as well as collating pub and restaurant orders (through the night).